Multifamily unit owners and operators have many different operating costs. Just one of those costs is the utilities offered in conjunction with a unit. The cost of heating, cooling and providing water, sewer and trash services can be immense. Luckily, there are many options available to help owners, operators and renters. When an individual meter is installed in every unit, it can easily track the unit’s usage and transmit that data wirelessly. The information will travel to a central collector (DCC) that is on site at the community. The DCC can then receive and store the data until it is needed for billing purposes. Some companies can then set up the community so that they are able to access the data remotely and charge the correct amount to each resident. The data is filed accordingly and then ready to be billed. Renters like this because then they are only billed for the utilities they use. They are not sharing the costs to keep their neighbor’s apartment 65 degrees in the summer and 80 degrees in the winter. This option is not as attractive to renters as it has been in the past. Renters are beginning to see that they may be paying for other’s usage. In fact, studies have found that renters who overuse utilities may be driving the usage up by 70%. Experts believe that high utility users will actually use 700% more gas, for instance, when they don’t pay for that utility directly. Generally, about 10% of residents will be high users. They might run the heat continuously, leave windows ajar when the heat is on, and not understand there are underlying maintenance issues at hand. If the average resident uses 29.4 ccfs in gas, and high users take 235.3 ccfs each, the gas portion of rent should only be $29.40. But, all residents have to pay $50. High users increased the rent by $20.59. That’s a 70% increase in the portion of rent spent on gas. 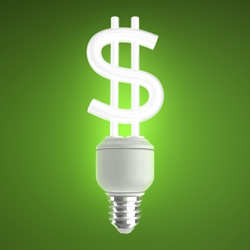 Investing in technology to help save utilities will ultimately save money, as well. Multifamily Unit Building owners can make sure their properties are well insulated. They can wrap pipes and invest in high quality windows. Additionally, they can address issues of leaks and drips quickly. By stopping the small water losses, they can save money on water waste and on costly repairs from water damage. Renters can make sure to monitor their surroundings. They can ask that drips and leaks be fixed. They can notify management of issues with drafts and furnace usage. They can ask that their water heaters be turned down. Each of these small steps will help save money.